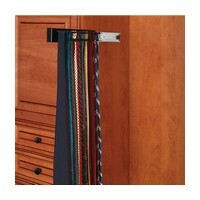 This side-mounted wood tie-rack is ideal for easy placement anywhere within your closet. Made of durable solid wood and with your choice of three finishes, white, maple and black it is the perfect addition for your tie storage needs. 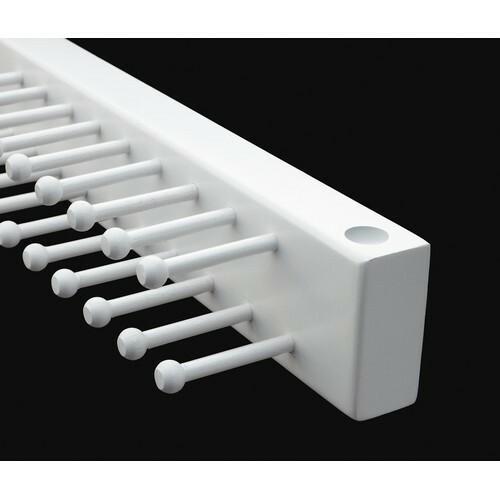 The beautiful pegs hold up to 34 ties securely on non slip plastic coated pegs and the comfortable pulls allow easy two-finger access. 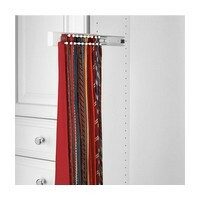 Available in four depths this wood tie-rack features full-extension slides for complete accessibility and installs easily with only three screws. 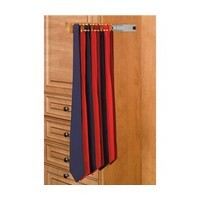 Great value for garage cabinets. Not soft-close but will stay closed. Fairly heavy, so their 100lb. rating seems accurate. Don't expect any instructions or much adjustability, so measure carefully if you haven't installed many drawer slides. Vix bits are your friend.